Ph.D. in Engineering and Technology is a 5-year course. Students should have cleared a bachelor’s degree in Computer Science as a subject or equivalent to this degree from a recognized University. Admission to the course is based on entrance examination such as UGC NET or on the basis of marks secured in last qualifying examinations. The mode of admission depends on the discretion of college/ institute. The average tuition fees for Ph.D. in Engineering and Technology ranges from INR 30,000 to 4 Lacs for the span of 5 years. Major Job profiles and designations for these graduates are Postsecondary Teacher, Computer and Information Research Scientist, Computer Hardware Engineer, IT support analyst, Network Engineer and IT consultant, etc. Graduates with this degree have opportunity for the industries like Coaching Centres, Engineering and Technology Consultancies, Engineering and Technology Department, Home Tuitions, Private Tuitions, Research and Development Agencies and Schools. 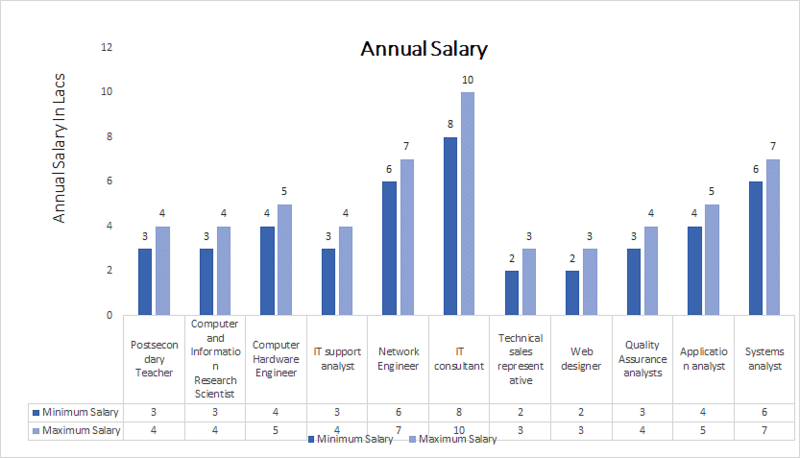 The average salary for Ph.D. in Engineering and Technology graduates is around INR 3 to14 Lacs but this can be higher on the basis of experience and other factors. Admission Process Based on counseling after clearing Entrance Tests like UGC-NET for different colleges. Ph.D. in Engineering and Technology: What is it about? Students are fully funded through research assistantships, teaching assistantships, and fellowships. To pursue Ph.D. in Engineering and Technology course, the candidate should have bachelor’s degree in Engineering and Technology from a recognized university. Also the masters in Biology/Pharmacy and Engineering and Technology or the relevant stream with an aggregate of 55% marks and also with valid Ph.D. entrance test along with the interview. B.Tech/ M.Tech in any branch of Engineering/ Bio Technology and Interdisciplinaryareas. B.Tech/M.Tech or equivalent degree in Engineering and Technology. Admission to Ph.D. in Engineering and Technology is given on the basis of entrance exam conducted by various institutes. The entrance exam is followed by personal interview round for final allotment of seats in any institute. Formal Methods: Program Correctness, Horare Logic, Program Semantics and Model Checking. On successful completion of the course, Ph.D. in Engineering and Technology holders can make their career as Software Engineer/Programmer/Developer (JAVA/ .NET/C#/Python/C++ etc. ), Network Administrator, Database Administrator, Network Programmer, Software Tester, System Analyst, Business Analyst, System Engineer, Hardware Engineer, Support Specialist, etc. Holding a Ph.D. in Engineering and Technology typically leads to a career in research. Many Ph.D. holders work in academia, although public and private career paths are also available.